Now you're probably wondering, "what's the worst that can happen if I get the Project Scope Statement wrong?". Well imagine receiving a torrent of Project Change Requests all of which have to be dealt with, impact assessed and the work then fitted into the already tight plan. So try these real life questions from Business Stakeholders caused by unclear scope. 1. "Numerous Change Requests had to be raised because the Business were forced into making decision before they were ready to make them. If theyd been given another 6 months, so much re-work wouldnt have had to have been done at a later stage." Comments given on a New Media project which had a total timeline of 6 months from initiation to launch, insisted upon by the Business where over 80 Change Requests were received. 2. "I dont see why we cant just add another heading to the drop down list. It looks straightforward to me". A comment from a non Techie Business Stakeholder who had no understanding on the concept of databases and table set ups. 3. "We cannot possibly decide the functionality of the website until we have a complete understanding of the Brand Vision. Youll just have to wait until were ready". On pushing a Business Stakeholder for a steer on the functionality the website would need to have. The Project Manager did not push for a decision, with the outcome that the technology teams had just 2 months to document requirements, design, code and test what was required. The result was a severely cut down scope, and extremely limited functionality. 4. "Im a database expert. I once set up Foxpro in 1992". A Business Stakeholder in explanation of why his sudden demand that the Search functionality should be a Contained rather than a Start With search and why he didnt think it was a problem. 5. "Until we run more focus groups I can't make a decision". A Business Stakeholder in explanation of why he was refusing to make a decision on key functionality. The Focus Groups took another 3 months to run, came back inconclusive and as a result the project launched on time but with significantly reduced functionality including the one researched! 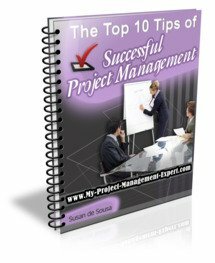 At the sametime, you as the Project Manager cannot plan for these Changes in advance because in that case you are just giving the Business the green light to be indecisive and put in these Changes at a later stage. However all is not lost. Read Project Scope Statement The Expert Way to see how you can prevent this situation from happening. Insist any "nice to have" changes to project scope are formally raised as Change Requests and are then properly impact assessed. Usually when confronted with having to raise formal documentation these sorts of Change Request tend to miraculously disappear!